Compromise can be a thing of the past; the XP-245 produces high-quality prints whilst also offering great value. As part of the small-in-one range, it provides a printer, scanner and copier, all neatly packaged in a stylish and compact unit. It uses individual inks, so you’re sure to make a saving as only the colour used needs replacing. Printing on the go is also made easy with Epson Connect. Utilising Epson’s Claria Home Inks, this small-in-one is ideal for producing crisp, clear text documents and glossy, lab-quality photos. Get more for your money too with individual inks, as only only the colour used needs to be replaced. Whether using a smartphone or tablet, the iPrint app1 can be downloaded to a range of devices for truly wireless printing and scanning. 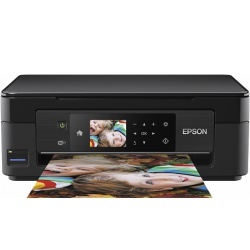 The possibilities don’t end there; with Epson Email Print1 it is possible to print from almost anywhere in the world1 by simply emailing documents and photos directly to the printer. For creative-minded people, the Creative Print1 app can print photos directly from Facebook, create custom greeting cards and stationery, and even turn photos into colouring book templates. Multiple users can easily print and scan wirelessly from around the home. Stylish and compact - the XP-245's small and lightweight design means it doesn't take up much valuable desk space. Smart device printing, scanning and copying Print from anywhere with convenient wireless printing, using the Canon PRINT app, AirPrint and Mopria. A4 print speed - black text: 7.7ppm (pages per minute). A4 print speed - colour text: 4ppm (pages per minute). 600 x 1200dpi optical resolution. PictBridge - print images directly from a digital camera. This stylist and compact small-in-one is designed to produce crisp, clear text and glossy photos. Print without a PC, slotting in a memory card and using the large 6.8cm colour LCD screen which has helpful menu prompts. As the XP-442 uses individual inks, you only replace the colour used, saving you on costs. 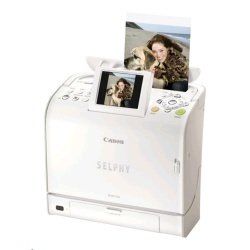 Compatible with a range of Epson apps and IPrint, you can print and scan from almost anywhere. Wireless printing with or without a network. Connect to the cloud with this affordable Wi-Fi®¹, All-In-One. Ideal for the home you can print, copy, scan and fax with ease as well as share functions between multiple devices including smartphones and tablets. Approx. 15 seconds Color document scan speed is measured with ISO/IEC 29183 Target A. Scan speed indicates the time measured between pressing the scan button of the scanner driver and the moment the on-screen status display turns off. Scan speed may vary depending on system configuration, interface, software, scan mode settings and document size etc. Add frames,clip art,fun layouts and more. The EcoTank all-in-one with revolutionary cartridge-free printing The Expression ET-2600 EcoTank all-in-one offers revolutionary cartridge-free printing with easy-to-fill, supersized ink tanks. It includes up to 2 years of ink in the box. That’s an incredible amount of ink — enough to print up to 4,000 pages, and equivalent to about 20 ink cartridge sets. Delivering an unbeatable combination of convenience and value, the ET-2600 allows you the freedom to print anything you want in color, without worry. Plus, save up to 80 percent on ink with low-cost replacement bottles. The ET-2600 also offers wireless printing from tablets and smartphones; fast, one-touch copying; plus user-friendly control panel buttons.